The Senzu bean is made by Korin in Korin's Tower. It is a special bean that has the power to revive a damaged body and return it to its previous form. In the case of the Saiyans, every time they are beat to near-death like Vegeta on Nemek he was so close to death that when Dendea healed him his health doubled from what it was before and if he had took a Senzu Bean it would have done the same thing. 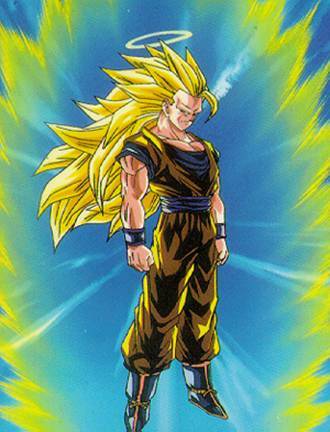 - On his way to fight Nappa and Vegeta, Goku eats a Senzu to revitalize his body from his training. - Goku split his last Senzu bean with Gohan and Krillin after they were beat by Nappa. - Goku eats a bean at the hospital so he could fly to Namek. - Goku eats 3 beans while training on the spaceship on the trip to Namek. - On Namek, Goku splits a bean, giving a half to Krillin and a half to Gohan. - Then Goku gives Vegeta a whole one. - Yamcha eats one after being nearly killed by Dr. Gero. - Vegeta gets one after fighting #19. - Piccolo recieves one after getting his energy drained by Dr. Gero. - Yamcha, Tien, Piccolo and Vegeta all recieve one after a little scrap with #18. - Tien and piccolo get one after their fight with Cell. - Krillin recieves one after his week fight with Cell. - Vegeta recieves one after his fight with Perfect Cell. - Cell recieves one from Goku, because Goku thinks the fight would be too easy for his son to win. - Vegeta, Trunks, Krillin, Piccolo, Yamcha, and Tien all get one after being beat by the Cell Juniors.